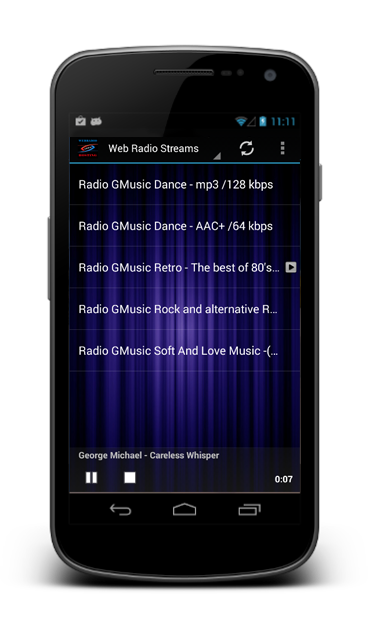 The Radio activity allows you to play streaming audio from internet radio stations in your application. It's similar to the Audio activity, with additional support for SHOUTcast and Icecast streaming audio. The name for this activity. The name will appear on the dashboard and as the activity's title on the action bar. It can be whatever you want. For example: "National Public Radio"
Choosing Playlist or SHOUTcast Playlist will make the app treat the URL as a playlist file. It will attempt to download the file at that URL and parse it in order to expand it into individual tracks. Note: not all SHOUTcast servers provide this information. If your channel doesn't transmit the song titles, you may want to switch to the Playlist setting so your app doesn't use any bandwidth attempting to retrieve the metadata. The URL of your playlist or radio stream or IP of your SHOUTcast / Icecast Server. Make sure you choose the appropriate Encoder Type. 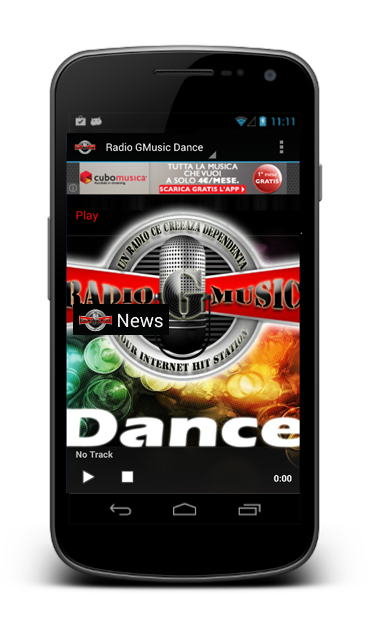 For example, http://s4.webradio-hosting.com:2199/tunein/rgmdance.pls is the URL to a SHOUTcast playlist file. If you put the Server IP instead of playlist URL, you must to specify the port number. This is where you can select a background image that will be displayed behind the list of audio tracks (optional). Click the 'Browse' button to select and image file.